Order of the Golden Sun - Created in 1923 in Lincoln, Nebraska. 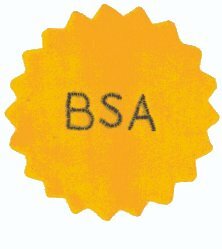 It was originally called: Golden Sun Lodge of the Tribe of Quivira. 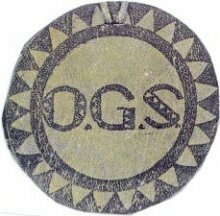 The Order of the Golden Sun in Dubuque, Iowa became OA lodge 74. It also existed in Cape Girardeau, Missouri. 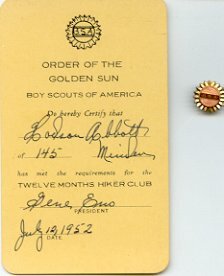 Order of the Golden Sun membership card - image courtesy of George Cuhaj.